A power company has apologised to hundreds of customers after some of them lost supplies for up to 30 hours. 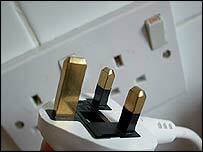 Addresses in the North Chailey area of East Sussex suffered a power cut just after 2030 BST on Saturday. About 500 customers were affected by what EDF Energy called "a complex series of related faults on the electricity network". Those whose supply was not restored until after 1430 BST on Sunday will get a written apology and compensation. The final customers were not reconnected until 0230 BST on Monday when EDF brought in two back-up generators. A total of 87 customers were without power for more than 18 hours, meaning they are entitled to a Guaranteed Standards Payment. This currently stands at £50 for homeowners and £100 for businesses. EDF said its engineers "worked throughout the weekend to locate and repair the faults", and were in the area on Tuesday to carry out permanent repairs. Julie Fabian, a North Chailey resident who was among those worst affected, told the BBC she was disappointed the estimated repair time on EDF's 'fault report' telephone line kept changing. "If you know your power is going to be out all day you're going to make alternative arrangements," she complained. EDF responded in a statement: "When there is a breakdown on our network our priority is to get the power back on as swiftly as possible. "In this case, as the power cut resulted from a complex series of related faults, it was particularly difficult to estimate when supplies would be restored."